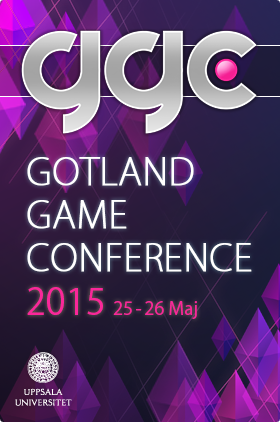 The annual Gotland Game Conference celebrates its 10 years anniversary! Looking through the archives, we have covered topics such as inclusiveness, creative business models and applied game design. Register for the event and pay what you like! Can’t wait until the 25-26 of May? Why don’t you take a stroll down memory lane and watch previous presentations on our YouTube-channel. Don’t forget to follow us on Twitter or Facebook to get updates on new speakers as we confirm them. For videogames to be taken as a serious medium of expression, it must demonstrate the capacity to communicate serious ideas or to operate with serious intention. This does not mean that it must be flat-footed, pedantic, or otherwise artless. Rather, it means that the medium must demonstrate itself capable of expressing and inflecting cultural understandings and values in some way. It must create great art. It must also, I argue, create great tools for thinking. In this presentation, I review research on the intellectual life of commercial entertainment videogames and highlight the ways in which the culture of play functions as a critique of schooling, highlighting the downfalls of standardization in the United States, evidenced in both the substance of what we teach and metrics we use to assess children. I detail research on the communities that games inspire and the culture they encourage against the backdrop of status quo in education, explain how and where games might serve as a vehicle for American domestic policy, and suggest key advances we might in the innovation in order to help usher in a new golden age of games. 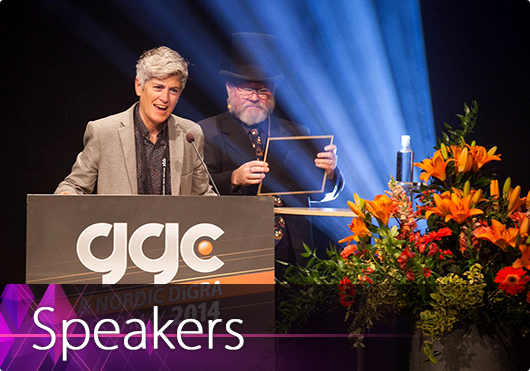 Constance Steinkuehler is an Associate Professor in Digital Media at the University of Wisconsin–Madison, Co-Director of the Games+Learning+Society (GLS) lab at the Wisconsin Institute of Discovery, and Chair of their annual GLS Conference. She currently serves as Executive Director of the Higher Education Videogames Alliance (HEVGA), an organization of higher education leaders whose mission is to underscore the cultural, scientific, and economic importance of video game programs in colleges and universities. In 2011-2012, she served as Senior Policy Analyst in the White House Office of Science and Technology Policy (OSTP) where she advised on national initiatives related to videogames. Policy work there included the coordination of cross-agency efforts to leverage games toward national priority areas (e.g. childhood obesity, early literacy, STEM education) and the creation of new partnerships to support an ecosystem for more diversified innovation in commercial and non-commercial games. Ave Randviir-Vellamo – (Video) Games and Information Warfare – Will Revolution be Gamified? Ave Randviir-Vellamo (Tampere University) is currently writing her PhD dissertation. For past six years, she has been investigating political games and studying, how exactly political and ideological content in games persuades their players. Before committing herself to game studies, Ave worked for several years as an art critic and editor in Estonian national newspaper Eesti Päevaleht and art magazine Kunst.ee. 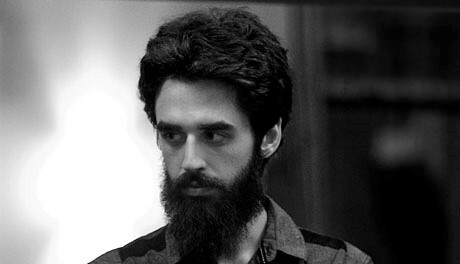 Ian Gil is a game designer, artist, idea wizard, and factotum at E-Line Media / Upper One Games in Seattle. He has worked on several titles including Gamestar Mechanic, a game and learning platform that teaches kids how to design their own games, and the BAFTA-winning Never Alone (Kisima Inŋitchuŋa), an atmospheric platformer built in collaboration with the Iñupiat Alaska Native community. He is currently leading design on м̸̷у̨̛ѕ̡͟҉т̢єя̀í̡̛σ̛υ̕͝͏ѕ new projects. A noted video game and tabletop RPG writer, Richard Dansky is also the author of six novels and the short fiction collection Snowbird Gothic. He has written for numerous games including Tom Clancy’s Splinter Cell: Blacklist,Ghost Recon: Future Soldier and the original Far Cry, and was named one of the Top 20 Game Writers by Gamasutra in 2009. He is currently working on the 20th anniversary edition of the critically acclaimed tabletop RPG Wraith: The Oblivion. A long-time resident of Durham, NC, he lives with his wife and their variably-sized collections of books, My Little Ponies and single malt scotches. “You can’t make a game about that!” In 1997, the mere thought of using a game framework to discuss an issue like the Holocaust was an explosive one. Yet under the rubric of Black Dog Games, White Wolf published Charnel Houses of Europe: The Shoah. One of the most talked-about RPG supplements of its time, it’s still a lightning rod for discussion nearly two decades later. Now, for the first time hear the story behind the book’s development, and why Wraith: The Oblivion provided the perfect framework for it. Have you ever played Japanese video games? For example, Super Mario or Pokemon? Japanese games such as Mario and Pokemon became popular all over the world after the success of the Nintendo Entertainment System during the 1980s. In addition, other aspects of Japanese popular culture such as anime (animated cartoons), manga (comics), and cosplay (costume play) have become incredibly popular overseas. Japanese video games bring together both technology and creativity. It is my opinion that the roots of this lie in Japan’s 2000-year old culture. Japan is situated at the edge of East Asia and was isolated from the world for most of its history. It has maintained the same culture and language in way which sets it apart from other developed nations. It is here that we can find the source of what makes Japanese games special. For example, in my presentation I will demonstrate how the famous character Mario’s pixel design was influenced by Japanese orthography, specifically kanji (ideograms). Similarly, manga has its roots in Japanese picture scrolls. Even the popular game Pokemon was likely influenced by the “capture and release” system found in shogi (Japanese Chess). I will also talk about the history of Japanese video games after the 1970s: from arcade games (Space Invaders) to home entertainment systems (NES), portable games (Pokemon), and finally smartphone games (Puzzle and Dragons). I will close by talking about one of my current research projects, the development of Global Math, a worldwide platform for games which teach mathematical skills. 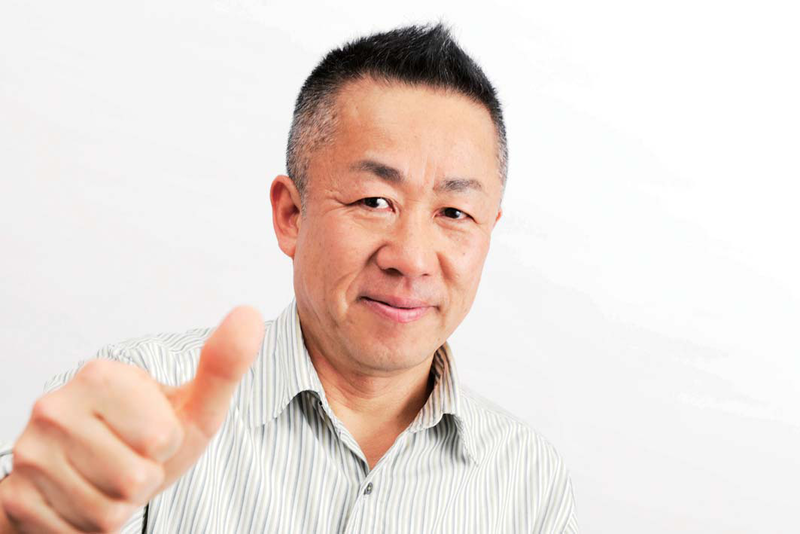 Yoshihiro Kishimoto is a game designer and associate professor at Tokyo University of Technology’s media department. He has been designing games since before the Nintendo Entertainment System existed. 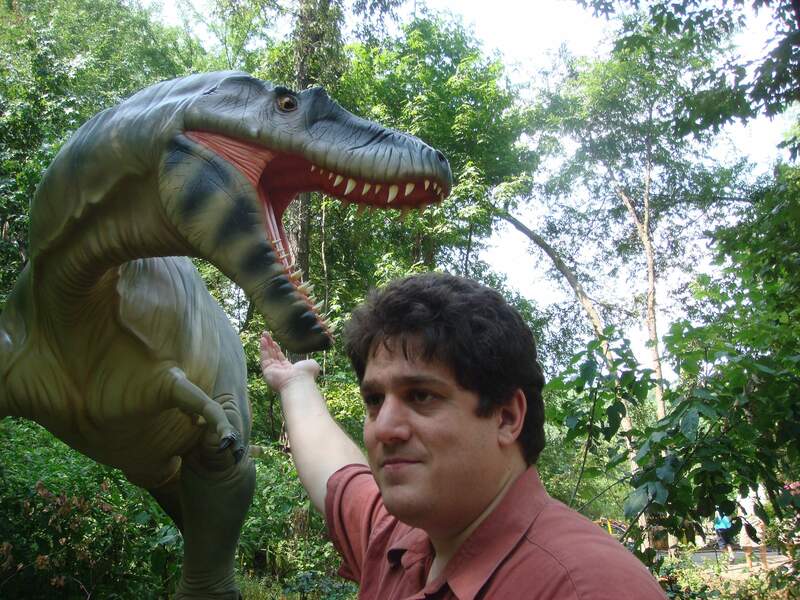 After a 29-year career in video game development working for companies such as Namco and Koei, he switched hats to become a researcher in the same field. He has worked on exactly 60 games. Professor Kishimoto’s research is focused on how the power of video games can be used to benefit education and society at large. He teaches classes and workshops on gamification and is also involved in the production of “serious games,” which teach skills such as mathematics and cybersecurity. Anna Kipnis graduated from Rutgers University with a Bachelor’s degree in Computer Science and minors in Philosophy, Cognitive Science, and Psychology. She is a Senior Gameplay Programmer at Double Fine Productions, where she has worked since 2002. At Double Fine, she has contributed to various unreleased and top secret projects as well as Psychonauts (2005), Brütal Legend (2009), Costume Quest (2010), Once Upon a Monster (2011), The Cave (2012), Dear Leader (designed and led the prototype, 2014), and Broken Age (2015). 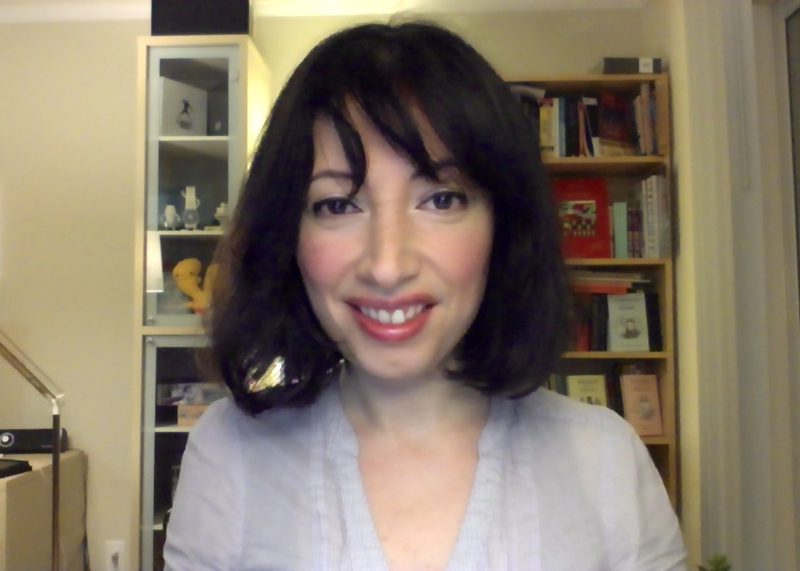 She is active in the indie game community and has collaborated with Santa Ragione on Final Candidation (2013), a game about the Italian elections. She is also the founding organizer of Molyjam, a game jam inspired by Peter Molyneux and his fake Twitter account, @petermolydeux. Anna has served on the IGF technical jury, the Global Game Jam theme committee, and as an advisor for UCSC’s MS Games & Playable Media program. It’s unavoidable. The back of the latest AAA blockbuster’s box, the praise of a million-hit game review, and even the theme of this very conference all make the same assumption: that games are inherently comparable to movies. But let’s talk for a short while about why that might be more of a stretch rather than a safe assumption. We will talk about the language and storytelling of play, we’ll specify what these two mediums owe to each other, and also go over how economic and social obstacles can pull off narrative feats just as impressively as a director’s skilled camerawork. Perhaps gaming’s “Citizen Kane” has been with us all along? Or maybe it hasn’t? Because, after all, games are not movies. George Weidman is a writer, journalist, reviewer and cyclist who decided to start a YouTube channel while bicyling through the deserts of the American Southwest. For two and a half years he has been producing news, criticsm, event coverage and journalistic stories for Super Bunnyhop, where he works to produce heavily-resaerched (and heavy-hitting) content with a more casual tone. His work has been featured on Kotaku, Giant Bomb, Eurogamer and his writings published in The cRPG Player’s Handbook, GameRanx, and Creative Loafing, but his home lies with the weekly content made on the channel, where a regular audience of 100,000 subscribers tune in to keep informed.